I created the video using the “screen capture” setting in Quicktime, and then I edited it and added sound in iMovie. 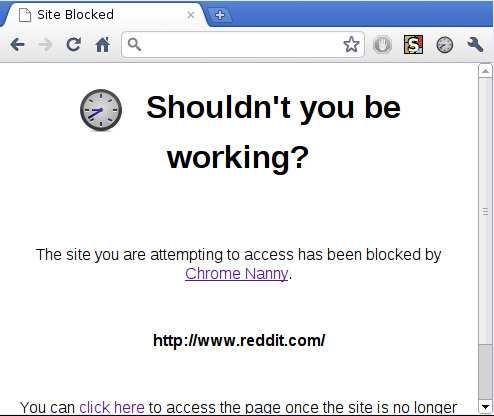 When Chrome Nanny reprimands me, I am reminded of the frivolous nature of these sites. 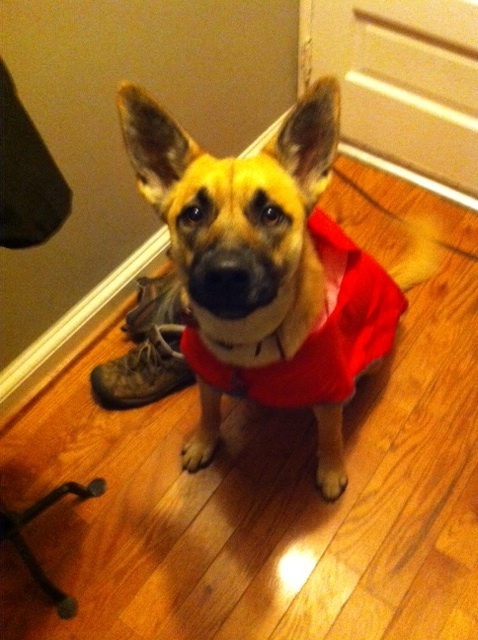 Why would I be posting pictures of my dog on Facebook when the article I’m working on remains depressingly unfinished? Because of that face, obviously. The internal dilemma I feel between social media and productivity is nothing new. 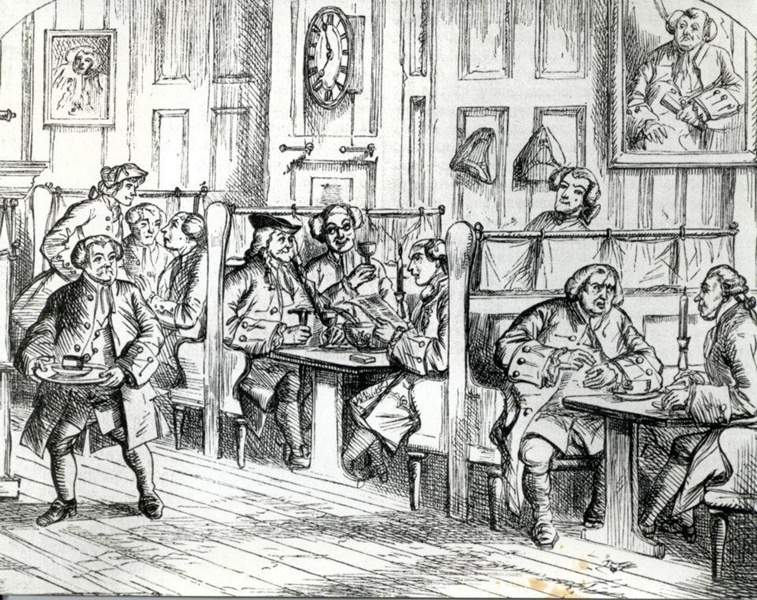 As Tom Standage notes in Writing on the Wall: Social Media—The First 2,000 years, people felt the same ambivalence towards coffee shops in the seventeenth century. When discussing the initial reception of these caffeine driven hangouts, Standage explains how “[n]ot everyone welcomed the freedom of speech afforded by the new social forum, and some people worried that its compelling, information-rich environment, which provided an endless and addictive stream of trivia, gossip, and falsehood, was distracting people from more productive pursuits” (104). Get back to work, Theobold! Over three hundred years later, the feeling that we are wasting our time by engaging in “non-productive” conversations is one that continues to plague us. Indeed, the nagging feeling of squandering valuable time becomes the topic of conversation in an episode of Seinfeld from the mid-1990s. But really, can’t we have coffee—or facebook conversations—with friends? Is social media merely a distraction? Obviously there are aspects to social media that are unarguably beneficial. As Tom Standage notes, social media has the ability to spread news, spark revolutions, and create a global community. But what about the rest? 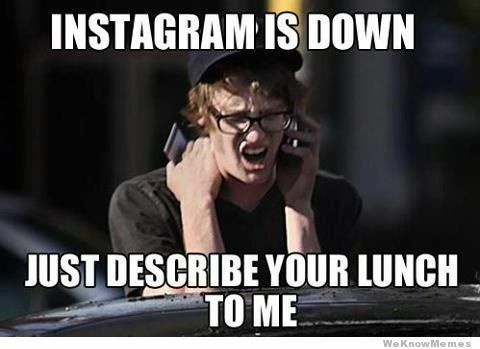 What about the status updates of mundane daily activities and excessive pictures of food? Despite the fact that we all may feel compelled to block or unfollow people who are constantly bombarding us with details of their lives, I nonetheless think that the type of connections this level of sharing provides is valuable, and not simply a distraction. Rather, I think social media allows us to talk about the inane details of our lives—to “have coffee”—with our friends and family regardless of the physical distances that separate us. And as Jerry, George, and Elaine remind us, having coffee with your friends may not be such a waste of time after all. During his discussion of his writing class’s clay assignment, Dennis Baron tells us that his students’ pickiness over clay color is a reminder of the fact that “given the chance, writers will focus on the artistic elements of writing as much as on the content” (74). Baron then goes on to add that “many writers like to experiment with the aesthetic variables of whatever they are using” (83). Yet, as academics, this desire for aesthetic appeal is one that we are usually denied in our professional lives—we are not “given the chance.” The vast majority of the work we do is formatted, standardized, and imageless. One of the few opportunities that academics have to break out of the confines double-spaced text only documents is when they make the transition into writing a book. Suddenly, images are not only allowed, but encouraged. It seems to me there are various reasons for this shift in aesthetic appeal, including a change in the formality of the work, an appeal to a wider audience, and to provide some distractions lest the written material become monotonous or dull. Images have the ability to add things to a text that would be otherwise impossible—or at least extremely difficult—to convey, but this ability does not mean that they should be added simply for the sake of adding them. Rather, authors have a responsibility to use images in a way that builds upon or enhances the written component of the work. We can see distinction between these two types of image use in some of the many images that Baron includes in A Better Pencil. Images that do not add to a work are those that are not fully discussed within the text or those that do not add to the purpose of the text. In Baron’s text, an example of this type of image is his inclusion of a picture of Ted Kaczynski (20). This picture—which the vast majority of readers would already be familiar with anyway—is included because Baron is discussing Kaczynski, not because the picture itself adds any value. There is nothing about Kaczynski’s image that builds upon Baron’s discussion of his anti-technology terrorism. But there are other moments in the text when Baron uses images to enhance and clarify his writing. Later in the text, he includes pictures of a photoshopped Abraham Lincoln and Marilyn Monroe (117) and an early portable dumb terminal (97). Both of these images help the reader follow along with Baron’s argument and provide clarity about the claims that he is making. Importantly—and unlike the Kaczynski image—they are also both fully discussed within the text itself. While academics of the past have primarily only incorporated images into their writing through books, the increasing popularity of digital writing stands to change that completely. Like books, digital writing provides a perfect opportunity for the inclusion of images, and, also like books, demands that digital authors use images in a way that engages readers and enhances the text. As technology becomes more widely accessible, the aesthetic of the web changes. When the web was young, websites included flashy banners, beeping icons and dancing babies, simply because they could. People were showing off the ways that they could use the technology available to them, and this was considered aesthetically pleasing. Once everyone was able to use these objects of flare, however, their aesthetic value dropped significantly. Now coming across a website that does something as simple as play music (without permission) is considered accosting. Somewhat paradoxically, the web has adopted a simpler, cleaner aesthetic now that everyone has the ability to make things as garishly flamboyant as they desire. In 2007, myspace pages frequently featured custom themes and backgrounds that people used to express both their individuality and their many interests. But now, most twitter and facebook pages opt for uniform designs that only distinguish themselves from one another with one self picture.